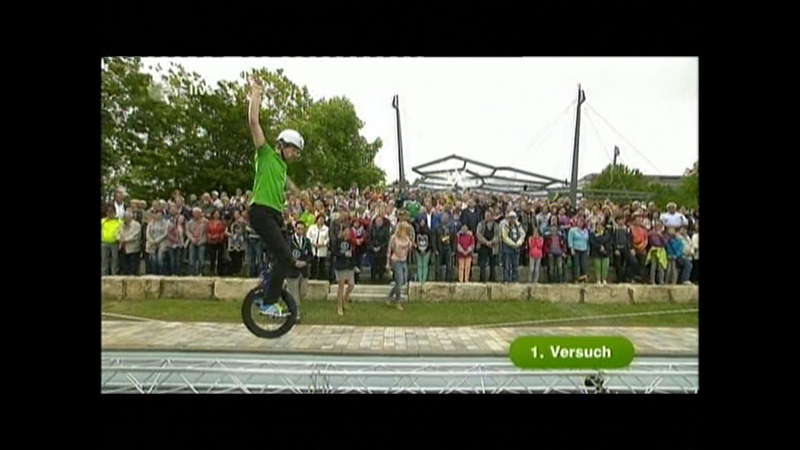 Last weekend I tried to beat my own Guinnessrecord in slackline unicycling in the german tv show “Fernsehgarten”. Nearly one year ago in China I managed it to get the Guinnessrecord in this diszipline. This time the challenge was to hard for me. The first try was really close and I went down just some centimeter aways from the record. The next tries I coudnt do better but hopefully I will get a new chance to beat the record soon.